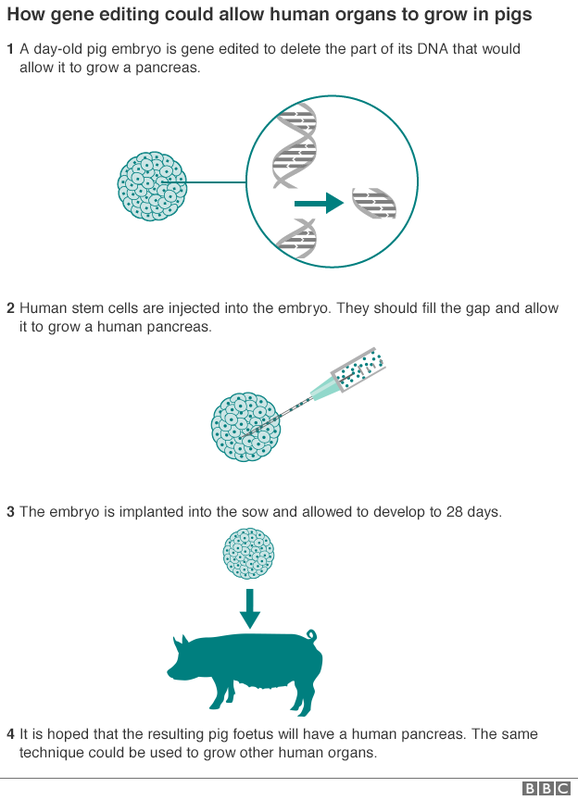 Once the human-pig embryos are implanted into sows, they gestate for 28 days before the pregnancies are terminated (the full gestation period for pigs is 114 days). Scientists then analyze the fetal tissue to make sure everything is developing normally. CRISPR gene editing is used in a newly fertilized pig embryo to remove the DNA that would allow the subsequent fetus to grow a pancreas. This, according to the BBC, creates a genetic “niche” or void. Then human induced pluripotent (iPS) stem cells are injected into the embryo. These iPS cells, derived from adult cells, are “dialed back” to become stem cells that are programmable to develop into any tissue in the body. Last September, the U.S. National Institutes of Health (NIH) placed a moratorium on funding the experiments until more information becomes available concerning the potential implications. In theory, the pigs should develop as normal pigs, but what if some of the stem cells travel to the animals’ brains and make them…more human? It sounds like science fiction, but it’s a scenario the NIH is taking seriously. The hope of the UC Davis researchers is that the human stem cells will be accepted into the genetic niche in the pig embryo, leading the resulting fetus to grow a human pancreas. 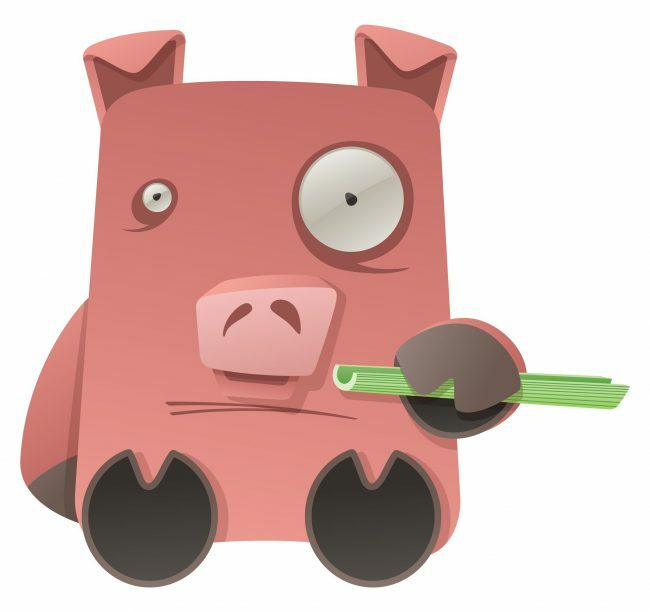 In past experiments, Ross’ team injected human stem cells into pig embryos, but without first creating a genetic niche. Although the researchers later found human cells in several parts of the developing fetus; these cells “struggled to compete” with the pig cells. Other research teams in the U.S. have created human-pig embryos; but so far, none of the fetuses have been allowed to be born. Pigs are an ideal “incubator” for human organs, says Walter Low, professor in the University of Minnesota’s Neurosurgery Department, and could potentially be used to also create kidneys, lungs, livers, hearts, and corneas. Low’s team is currently attempting to use chimeric embryos to create dopamine-producing human neurons for treating patients with Parkinson’s disease. Those embryos as permitted to gestate for up to 62 days, with the normal gestation period being 114 days. There is another ethical issue to consider, besides potentially giving pigs human brains: the suffering of animals. The idea of farming animals for organs has many animal-rights activists dismayed, particularly organizations campaigning for an end to factory farming.